PSTET Result 2018 :Punjab Board of Secondary Education (PSEB) recently conducted the Punjab State Teacher Eligibility Test (PSET) successfully on 25th of February 2018. Huge numbers of individuals eligible have applied for this PSTET exam 2018 and also appeared for the exam. As per the news, it is known that nearly 2.8 lakh candidates have attended the PSTET exam 2018 from all over the state. After the completion of the exam the board has already released the PSTET Answer key For Paper 1, 2 exam 2018 and the applicants applied for the exam have already calculated their score. But, they are very much eager to verify their results of the exam to know whether they are qualified in the test or not. The PSEB is released the PSTET Result 2018 . probably PSTET result for Paper 1 and Paper 2 is expected to release in April. So, all candidates are advised to check their results from the below-given link. More information regarding the PSTET results and the cutoff marks of the exam are given below and the candidates can through it once. 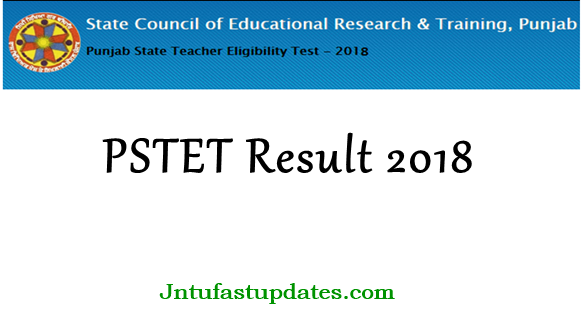 Punjab TET Exam Result 2017-18: Every state of India conducts the TET exam to recruit the eligible candidates for government Teacher posts in their state and in the same way the Punjab state board also conducted the PSTET exam in their state for the year 2018. As every year Punjab state education board has come up with the notification regarding this teacher’s recruitment for their state to recruits a huge number of candidates for the available number of vacancies. As usual, the PSTET exam was conducted in two papers i.e., paper-I and paper-II in this month that is on 25th February 2018 at various exam centers across the state. Candidates attempted this exam are eagerly waiting to check out their result today. The candidates are advised to check their results with the help of below-given procedure from the official website as soon as possible. But, note that the exam results are calculated based on the cutoff marks that is as given below for each category and based on it the merit list of the candidates will also be prepared. So, check it once to know the cutoff marks along with results. Punjab State Education Board (PSEB) has also released the minimum cutoff marks for PSTET 2018 exam for different categories. The details of the cutoff marks for the PSTET exam 2018 is given below and based on these cutoff marks the candidates are given the results. There is no negative marking in the exam for the wrong answer in Paper-I and Paper-II and so the candidates need not worry about this. Just check out the cutoff and verify the answers so that you may get the idea of the marks that you got in the PSTET 2018 that you have completed recently. How to Check PSEB/ Punjab PSTET Paper 1 & paper 2 Results 2018? At first, go to the official website pseb.ac.in or educationrecruitmentboard.com/pstet2017 click on the link given below. Look for the PSTET 2018 Results link in the home page and if found click it. Enter your application number or roll number in the given filed and click on “Search”. 1.2 How to Check PSEB/ Punjab PSTET Paper 1 & paper 2 Results 2018?